Is Jack Del Rio a good fit for the Oakland Raiders? Published: Jan. 14, 2015 at 06:25 p.m. Updated: Jan. 14, 2015 at 07:56 p.m. The Oakland Raiders' hiring of Jack Del Rio represented the team's long-awaited return to comfort and assuredness. It might be the only way to explain an interview list that included the former Jaguars head coach alongside Mike Shanahan, Pat Shurmur and Eric Mangini, all three of whom were head coaches in the past. Gone are the days of plucking an offensive coordinator out of college, or promoting a loyal lieutenant. The Raiders wanted something they could quantify. And Del Rio is a known commodity. A coach who has been to the playoffs. A coach that has coordinated in the Super Bowl. How much of the Broncos run was on his shoulders? Who knows. Did the Jaguars under perform and under-draft when Del Rio was in Jacksonville? Maybe. But he was there for nearly a decade. He has a track record and a past. This could be the one offseason where Oakland regrets their return to normalcy, of course. They left bright, talented young coaches on the table. Pep Hamilton, one of Oakland's interviewees, could be available next week. So could Darrell Bevell. But the Raiders, for once, will define their near future on a risk they didn't take. Maybe we could have seen this coming. Owner Mark Davis wanted John Madden involved in the process. He wanted him there asking football questions and gaging football knowledge. What avenue would a Hall of Fame coach prefer? What did he likely tell Davis? In Del Rio, the Raiders have a coach that reached the playoffs twice in nine seasons. It certainly wasn't easy sledding in Jacksonville, working with a combination of Byron Leftwich and David Garrard. But will he have much more to work with now? The Raiders hope that by making the safe choice, they have a coach who has figured that out by now. The latest Around The NFL Podcast discusses the latest coaching moves and makes our 'overly confident' calls for Championship Sunday. 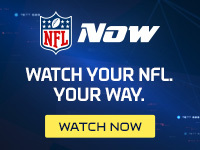 Find more Around The NFL content on NFL NOW.